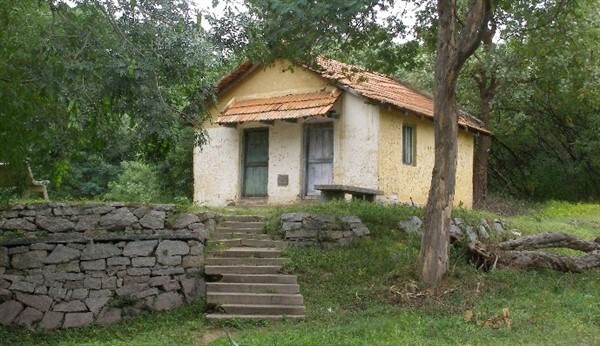 The place is located above 4000 feet above sea level and can be a weekend pilgrimage spot and getaway for a quick retreat or picnic, to escape from the grind of the daily hustle and bustle of city life. It is also a trekker’s paradise, due to the fact that it has numerous hillocks surrounding it, and many wildlife enthusiasts, in fact, throng the place for various wildlife shoots etc. It is declared as a protective reserved forest by the forest department of Government of Karnataka. Since it is closely located to Tumkur city and district and also the IT city of Bangalore, the crowds swell here on weekends and public holidays. Devarayanadurga is steeped in mythological importance. It is said that Lord Brahma the creator of the Universe, has performed penance for many years in the name of Lord Vishnu for several thousand years. Impressed by his penance, Lord Vishnu has incarnated himself as Lord Narasimha here. The fort or the temple is built in the Dravidian style and the temples are said to be about 2000 years old. The temple enjoyed the rich patronage of the Chola Kings which was well known for its sculptural excellence. Here two temples are built for God Narasimha, one which is at the foot of the hillock called the Bhoga Narasimha and the other temple which is built on the hillock which is called Yoga Narasimha. The Bhoga Narasimha Temple is located at the base of the hillock of the Devarayanadurga and the deity as we all know is dedicated to Lord Narasimha. This temple enjoyed the patronage of many kings from various dynasties and also is well known for its simple but beautiful architectural marvel. There are numerous pillars dotting the temple, on which inscriptions have been carved regarding the history of the temple and the various rulers. Another temple which is located in Devarayanadurga is the Yoga Narasimha Temple which is on the hillock. Around 100 steps have to be climbed to reach the temple and the scenic beauty will definitely leave the climbers spellbound. Lush greenery can be found around the hillock which gives a relief from the tedious task of climbing the steps. There is a temple which is dedicated to Goddess Lakshmi near Devarayanadurga which is called as the “Goravanahalli Lakshmi” and is revered by many Hindus. The approximate distance between Devarayanadurga and Lakshmi Temple is around 22 kms and locals will be of great help in guiding the route. Namada Chilume is around 10 kms from Devarayanadurga and has good roads. The entry fee to this place is nominally priced and this place has a natural spring on its premises. The apt translation for Siddara Betta in English would be Saint’s hill or Sage Hill. In olden days may be, lots of saints or sages may have meditated here and hence the name. This place is dotted with a number of caves and due to its rocky terrain, is a paradise for trekkers and also well known for its sunrise and sunset views too. Lots of medicinal and rare herbs can be sourced from here and it can be called a traditional or ancient medicine practitioner’s haven. 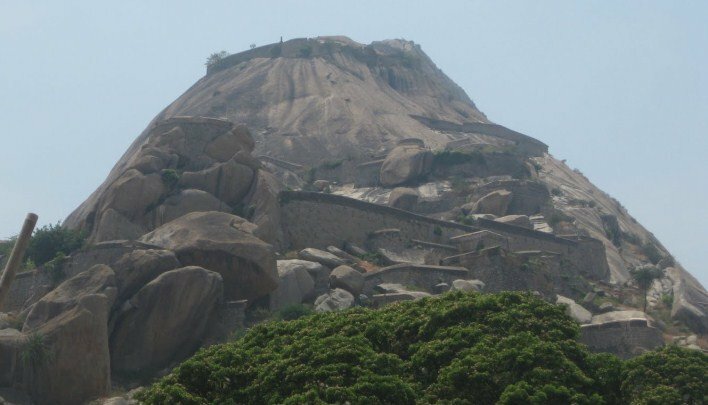 Due to its natural rocky and hilly terrain, Devarayanadurga is a haven for trekkers and mountain climbers. If the trekkers are avid wildlife photographers, it can be a double bonanza for them, since the scenic beauty enthralls the lensmen. The sunrise at Devarayanadurga is often breathtaking and many trekking enthusiasts leave early from Bangalore, just to have a glimpse of the sunrise there. The place is well-connected with major cities such as Bangalore and Mangalore. The nearest airport is the Bangalore International Airport. The approximate distance between the Bangalore International Airport and Devarayanadurga is around 85 kms by road. The approximate distance by road, from Bangalore to Devarayanadurga is around 75 kms, and the roads are well developed up to Tumkur, by both the State and the National Highways. If you are travelling from Mysore, the approximate distance is around 155 kms and here too, driving is not a pain, since the roads are good. The distance between Mangalore and Devarayanadurga is around 320 kms. Road condition is good and pleasurable to drive. The nearest railway station to Devarayanadurga is Tumkur, which is around 20 kms from Tumkur. Lots of passenger trains and express trains commute between Bangalore Main station and Tumkur daily. The travel time to Tumkur from Bangalore Main station is around 1.5 hours. If you are traveling from Mangalore, there is only one direct train to Tumkur so it is advisable to visit Devarayanadurga by road only. Nearest railway station is Tumkur.